Today Her Majesty The Queen, accompanied by The Duchess of Sussex, visited Cheshire. 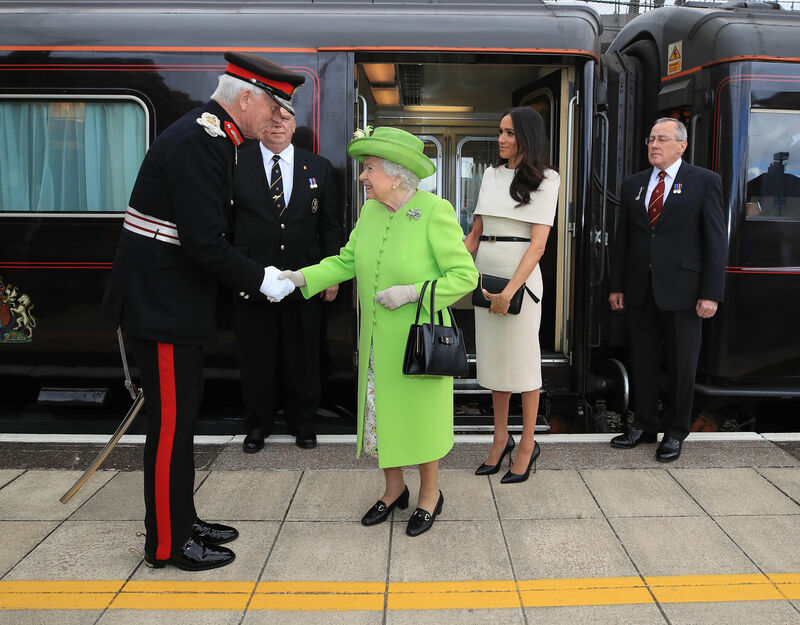 After arriving together by Royal Train, The Queen and The Duchess travelled to Mersey Gateway Bridge which links the towns of Runcorn and Widnes in Halton, Cheshire across the River Mersey. The project also includes a 9.2 kilometre road network that connects the new bridge to the main motorway network in the north west of England. It is one of the UK's biggest infrastructure projects in recent years. Her Majesty and Her Royal Highness met architects, planners and community representatives involved in the concept, design and build of the bridge before The Queen unveiled a plaque to mark the official opening. 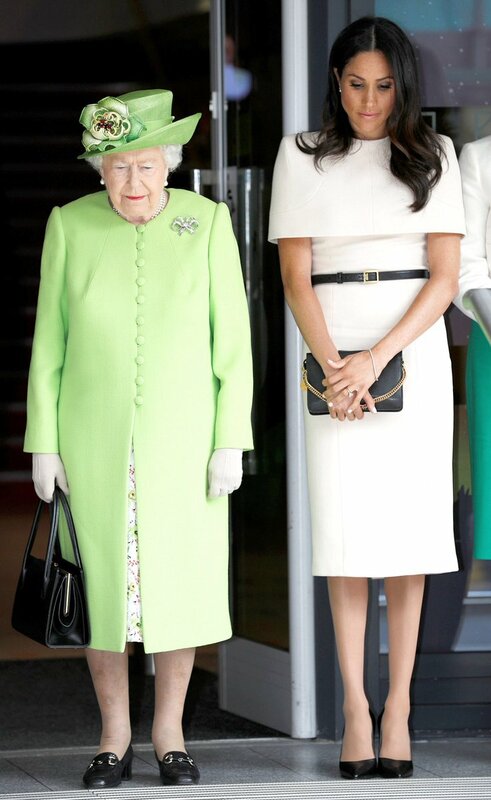 At midday The Queen and The Duchess of Sussex observed a 72 second silence in memory of the people who died in the Grenfell Tower fire, on the first anniversary. The next stop was to Storyhouse, an arts centre and community centre in Chester, which holds a library, theatre and cinema and runs over 2,000 activities per year for local communities. Whilst there, The Queen and The Duchess visited the children's library, to see a storytelling session hosted by Community Police Officer Eva Williams, dropped in on a “Digital Buddies” session, which is a free IT intergenerational skills workshop and drop-in for anyone aged over-50 and also watched a performance by ‘Fallen Angels’, a dance theatre company for people in recovery from addiction. In the theatre Her Majesty and Her Royal Highness listened to a medley of songs from Storyhouse's latest production, 'A Little Night Music' and a choir of over 300 primary school aged children, from 11 schools across Cheshire West and Chester performed the song: Drop in the Ocean for The Queen and The Duchess of Sussex. The Queen and The Duchess received a very warm welcome in the town centre as they met members of the public during a walkabout, before having lunch at the Town Hall.